Deezer is launching a new hub for Korean pop music on its streaming service. The new K-Pop channel will feature programmed playlists (including some from guest artists like iKON and Stray Kids). “K-Pop is one of the world’s fastest growing genres and is resonating with more and more fans. 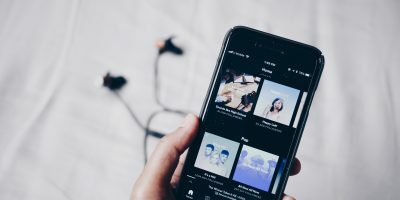 Deezer’s streams of the genre have already increased 157% in the last year,” said Deezer’s editorial and content manager APAC Natasha Zainal. The usual caveat goes here about percentage-growth stats without the from or to figures to understand how meaningful they are. But anyway: Deezer is excited. “It’s hugely important for us to provide local genres and artists with a voice to continue expanding their global fanbase and keep bringing the sound to new audiences,” said Zainal. K-Pop’s global growth is being trumpeted by a number of streaming services at the moment. In the IFPI’s new Global Music Report, Spotify’s data scientist David Erlandsson is quoted as saying “in 2018, markets like Peru, Canada, France and Turkey all saw more than 100 million streams of K-Pop artists”. BTS and Blackpink are two of the most obvious beneficiaries. BTS currently have 7.2 million monthly listeners on Spotify and 99.9m weekly views on YouTube (and bear in mind they’ve been in-between releases for a bit) while Blackpink have 9.7 million Spotify listeners and 58.5m weekly YouTube views.